Bihar Diwas, also known as Bihar Day, is celebrated on March 22 every year indicating the development of territory of Bihar. On this day in 1912, Britishers carved out Bihar from the Bengal Presidency. The day is a public holiday, initially, it was started and celebrated on a large scale by the state government in the tenure of Bihar Chief Minister Nitish Kumar. 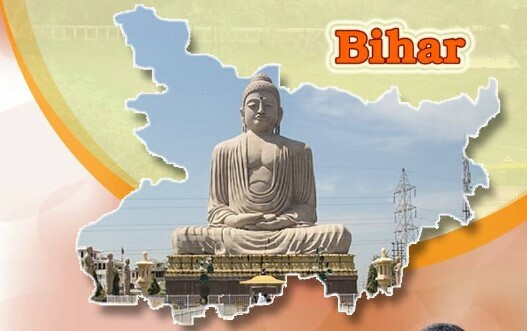 Apart from India, Bihar Day is also celebrated in the United States, Britain, Germany, Scotland, Canada, Australia, Qatar, Bahrain, Trinidad and Tobago, United Arab Emirates and Mauritius. Bihar Lok Sabha Elections 2019 Schedule: Constituency Wise Dates Of Voting And Results For General Elections. On the occasion of Bihar Diwas, several political leaders extended their wishes. Union Minister Dharmendra Pradhan in a tweet said, "Greetings to the people of Bihar on #BiharDiwas. May the state continue to touch new heights of progress under the leadership of Shri. @NitishKumar." Rashtriya Janata Dal leader and Former Deputy Chief Minister of Bihar, Tejashwi Yadav also greeted people. "Greetings to all the people of Bihar on their statehood day. By maintaining mutual love, trust, brotherhood, social harmony and religious goodwill, we will all continue to contribute to the advancement, progress, development and prosperity of Bihar. Let us take forward the pride of Bihar," he said in a Tweet. Bihar Chief Minister Nitish Kumar also shared a poster wishing everyone on Bihar Diwas. Every year the Bihar government issues notice stating March 22 to be a public holiday on the occasion of Bihar Diwas. The holiday is applicable to all offices under the jurisdiction of the state and central government. Schools and colleges also celebrate this day by conducting various programmes.